Waste from extractive operations (i.e. waste from extraction and processing of mineral resources) is one of the largest waste streams in the EU. It involves materials that must be removed to gain access to the mineral resource, such as topsoil, overburden and waste rock, as well as tailings remaining after minerals have been largely extracted from the ore. Some of these wastes are inert and hence not likely to represent a significant pollutant threat to the environment save for smothering of river beds and possible collapse if stored in large quantities. However, other fractions, in particular those generated by the non-ferrous metal mining industry, may contain large quantities of dangerous substances, such as heavy metals. Through the extraction and subsequent mineral processing, metals and metal compounds tend to become chemically more available, which can result in the generation of acid or alkaline drainage. 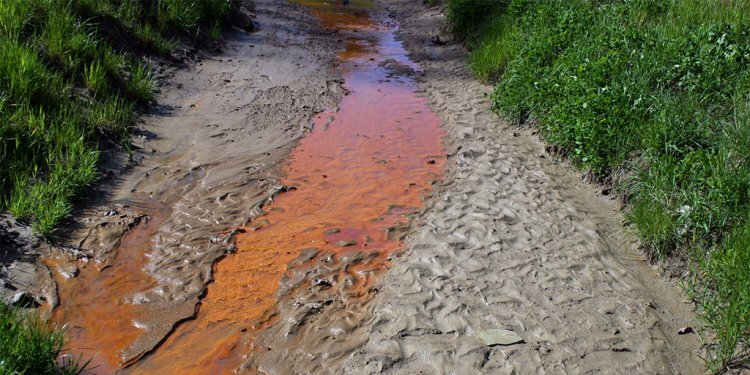 Moreover, the management of tailings is an intrinsically risky activity, often involving residual processing chemicals and elevated levels of metals. In many cases tailings are stored on heaps or in large ponds, where they are retained by means of dams. The collapse of dams or heaps may have serious impacts on environment and human health and safety. Examples of this are the accidents in Aberfan (Wales, 1966), Stava ( Italy, 1985), Aznalcóllar (Spain, 1998), Baia Mare and Baia Borsa (Romania, 2000). Other likely significant impacts relate to the physical footprints of waste disposal facilities and resulting loss of land productivity, effects on ecosystems, dust and erosion. These impacts can have lasting environmental and socio-economic consequences and be extremely difficult and costly to address through remedial measures. Wastes from the extractive industries have therefore to be properly managed in order to ensure in particular the long-term stability of disposal facilities and to prevent or minimise any water and soil pollution arising from acid or alkaline drainage and leaching of heavy metals.